While manufacturers are packing more storage space into laptops each day, portable external hard drives are still essential accessories. While replacing an internal drive is an easy task for a computer whiz, it can be a daunting one for the average person. 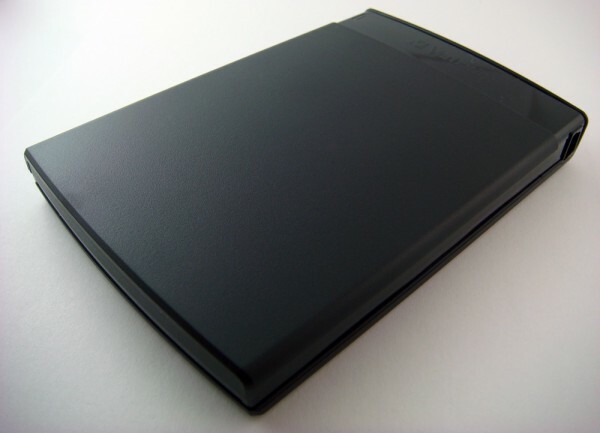 In case a laptop gets destroyed or stolen, storing backups on an internal hard drive isn’t a wise idea. Storage devices such as Verbatim’s Clon USB Portable Hard Drive solve both problems since they offers expandable storage space and a safe place for backups. There are many similar solutions on the market, but only a few offer fast transfer speeds, withstand wear and tear, and store data reliably at an affordable price. The Clon HDD is essentially a 2.5-inch portable HDD stuffed into a small USB-powered enclosure. It’s one of the smallest build’s I’ve come across, even the popular Seagate FreeAgent Go is an inch longer. The Verbatim enclosure isn’t nearly as fancy as Western Digital’s My Passport portable hard drive that features a glossy finish, but it has other advantages. The Clon’s rugged design is scuff resistant, which reduces fingerprints and scratches. 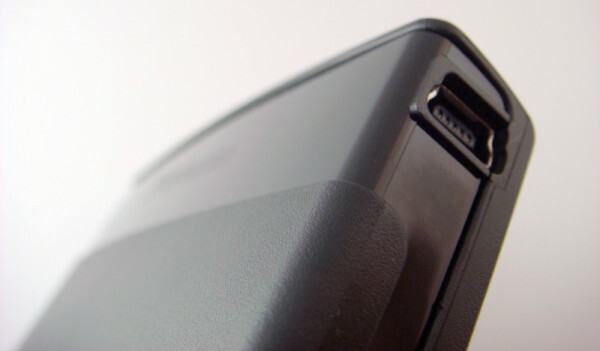 Verbatim took a somewhat unusual approach by placing the mini-USB port on the right side of the device instead of the back, which is rather awkward. While it may not pose an issue when the drive is residing besides a laptop, it’s simply cumbersome in most realistic solutions. With that being said, the decision to include rubber feet on the bottom was a wise idea as it reduces vibrations during data transfers. Aside from the hard drive, the only other things included in the packaging are a short USB cable and an instruction manual. 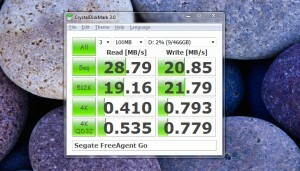 As the numbers indicate, the Verbatim’s Toshiba-powered hard drive is faster than the Seagate FreeAgent Go portable hard drive, which is actually more expensive. 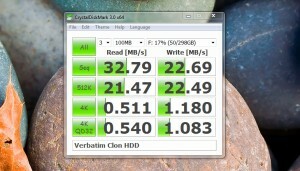 The Clon outperformed the Seagate in every category from ‘Sequential’ to ‘Random’ read and write speeds. Transferring a single large file or various small ones to or from the Clon will generally take less time than the FreeAgent Go. 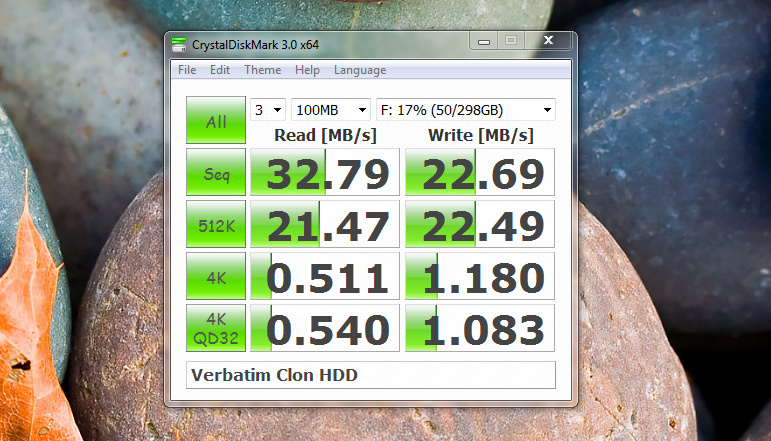 Verbatim’s Clon HDD comes pre-loaded with Nero’s excellent BackItUp software. The application isn’t a trial version, but rather a fully licensed edition. The program installs quickly and offers a variety of tools. The most essential feature is likely the one-click Autobackup feature. It also includes recovery and restore functions making Nero a complete package. For those who don’t own backup software, the inclusion of the program adds further value since it generally sells for around $40 separately. When it comes down to it, the Verbatim Clon is a great deal. Data transfer speeds trump larger well-known products. Also, the robust casing is smaller and won’t show wear and tear as easily as other enclosures. In addition, the inclusion of Nero’s included back up software makes the Clon worth every penny. Although the unit we received was a 320GB model, Verbatim also offers the device in 250GB and 500GB capacities. For those concerned about reliability, Verbatim includes a seven year limited warranty. The Clon 320GB Portable USB Hard Drive goes for about $70-80 through most online retail stores, which is slightly cheaper than competing products. For those looking for an affordable compact storage solution, the Verbatim Clon won’t disappoint.